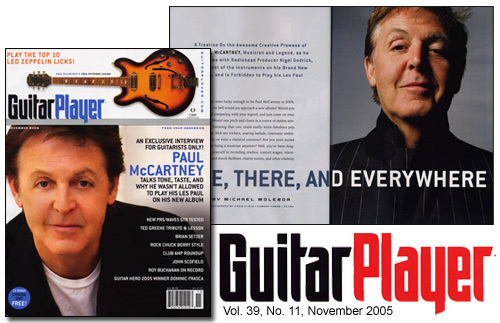 Be sure and pick up the November 2005 issue of Guitar Player Magazine where you will find Sir Paul McCartney and his 1964 Epiphone Casino on the cover. Turn to page 66 and you'll be treated to an awesome interview with the 63-year-old former Fab by GP's Michael Molenda. Here are a couple of quotes for you... but you'll have to grab the magazine for the entire interview! 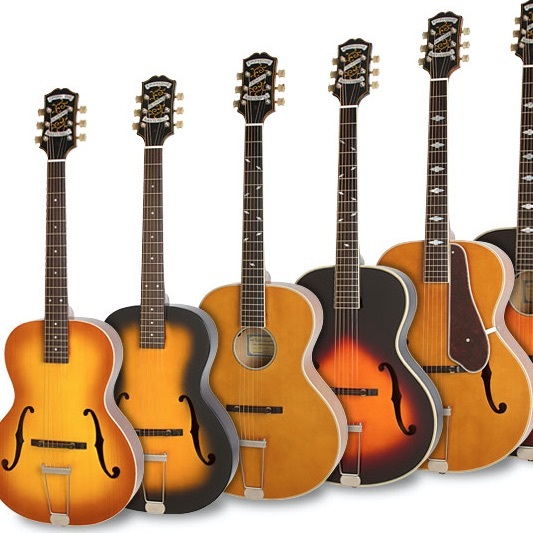 McCartney: Well, what happened was that we fell in love all over again with my Epiphone Casino, which I played on a lot of Beatles records - the "Paperback Writer" riff, the solo on "Taxman", and so on. It also feeds back nicely. Nigel always kept going back to it, saying, "That is my favorite guitar in the world!" I'd just get a little variation in the color by using either the treble or bass pickup, and then I'd stick it into my Vox AC30- so it's really the old Beatles sound. 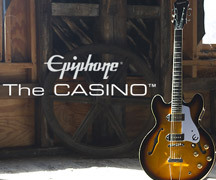 Thank goodness for my Epiphone Casino. Where would I be on this record without it? Molenda: On that note, the solo on "Promise To You Girl" really jumps out of the mix. I don't think many people would be so brave as to mix something that rude and dry so far up in the mix. Check out Guitar Player on-line at www.GuitarPlayer.com.